Disputes like this are "nothing new", he said. Apple and Qualcomm might be fighting hard in the courtroom, but that's not where the battle is going to end. That's according to the latter company's CEO, who states that he believes the issue will most likely be settled out of the court. At the same time, there was no talk on a possible resolution, and Mollenkopf asked for no more questions on the matter. Apple and Qualcomm have been duking it out since January, over possible unfair licensing terms. In the last six months, the battles have intensified, with accusations going both ways. Last time around, Qualcomm asked the court to ban all Apple devices that run without Qualcomm chips, and with Intel’s instead, saying Apple should be paying for the technology. A lawsuit was also filed in federal court in California, asking monetary compensation. 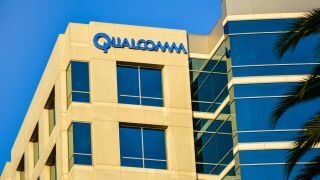 Qualcomm said six patents refer to devices being able to perform well without draining too much of the battery. Apple repeated its earlier statement about disputes with Qualcomm, essentially saying Qualcomm is forcing a ‘tax’ on Apple devices using Qualcomm chips.